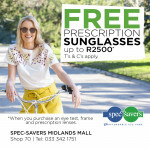 FREE Prescription Sunglasses consisting of an optical frame with tinted single vision lenses up to R2500, when you purchase an eye test, frame and prescription lenses. 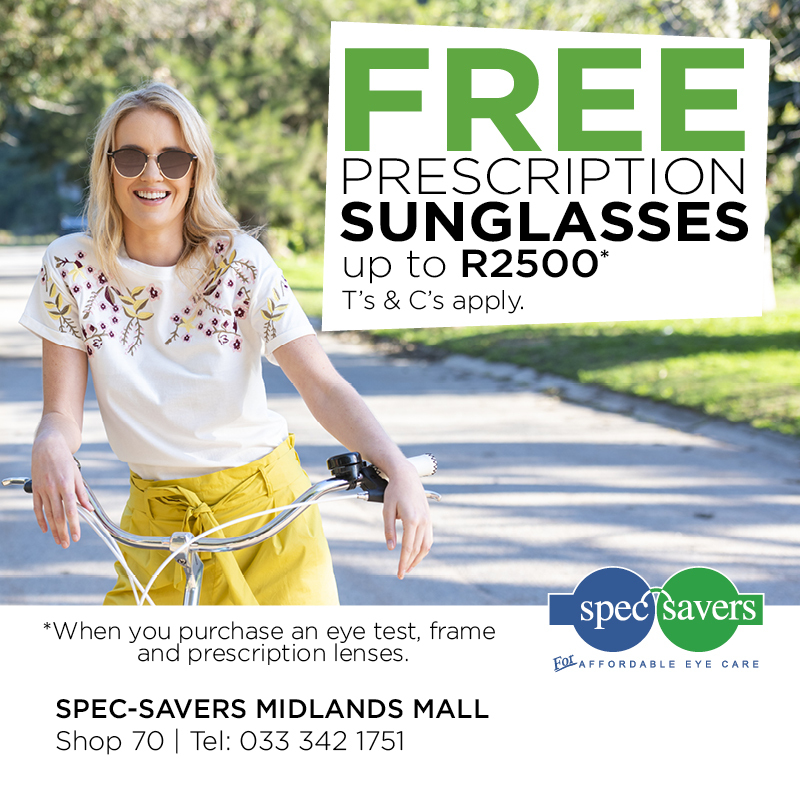 Offer ends 28 February 2019. Terms and Conditions apply.